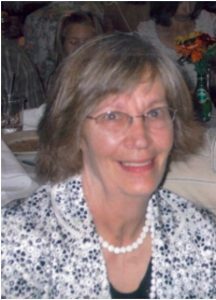 Linda passed away in May of 2008, after many years of setting a priceless example of how to be a selfless volunteer in our school community. Linda was always about the kids. She had a vision of building a nice patio where people could gather to eat, converse, enjoy small concerts or watch sporting events from. The Schools Foundation has honored her wish by building this 1300 sq. ft., multi-level patio entirely with private donations. It is a comfortable spot that enhances the Concessions area, allowing Aurora to shine among local sporting venues. Linda Tacl Allenspach, committed to the Aurora Schools. Throughout her long tenure as an Aurora City Schools’ volunteer, Linda served in many capacities: from trip chaperone to Sports membership and concessions coordinator, from founding committee member of the Aurora Orchestra Association and the New Aurora High School Alumni Association to ASF Trustee (including Ultimate Booster co-founder and serving as President for almost five years). Long after her three children, Jason, Ryan and Katie, graduated Linda was still found recruiting volunteers or laboring wherever there was a need. 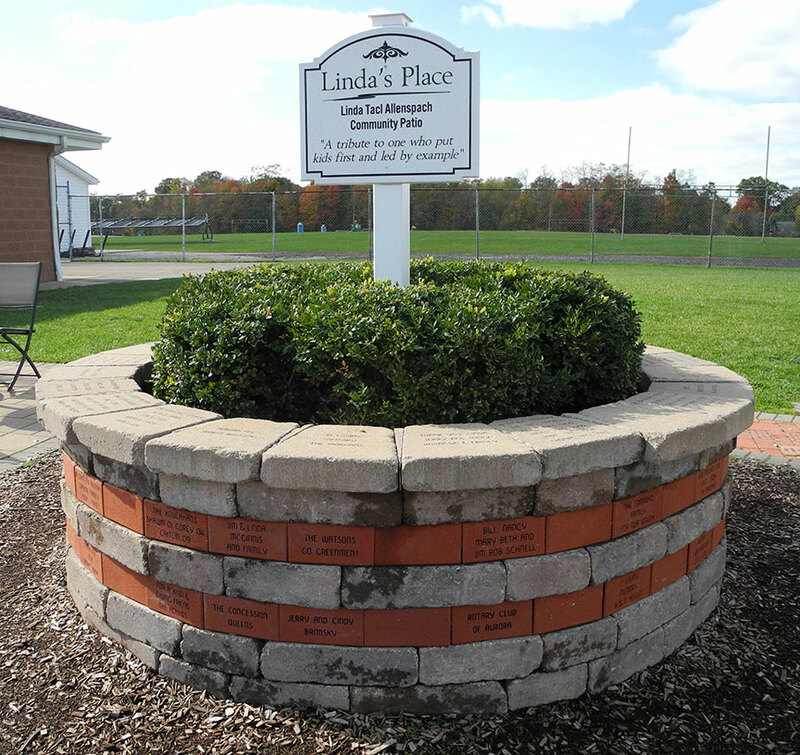 A special tribute area to Linda, which connects two of the three patios, features the brick donor area. Brick orders have been received from A.H.S. 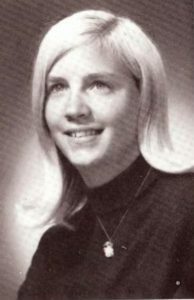 Alumni reunion classes, former Foundation Affiliates-Aurora Sports, Band, Choir and Orchestra booster groups (all of which Linda played an important role), local businesses, close friends, family and casual friends respectful of her sense of community.